For all those Coulter fans, I got these with an eyepiece purchase and have no use for them. The paint is a bit chipped, but they're in otherwise good shape. I believe the Ronchi is 150 lines, the other is a collimation eyepiece. telescopes mostly 60 mm and and a box or 2 of telescope accessories for someone to pick up in zip 48036.
will post pictures later tonight or in morning. pm me if you would like to come pick this all up.....you will need a truck or van. Edited by mustgobigger, 04 February 2016 - 02:44 AM. 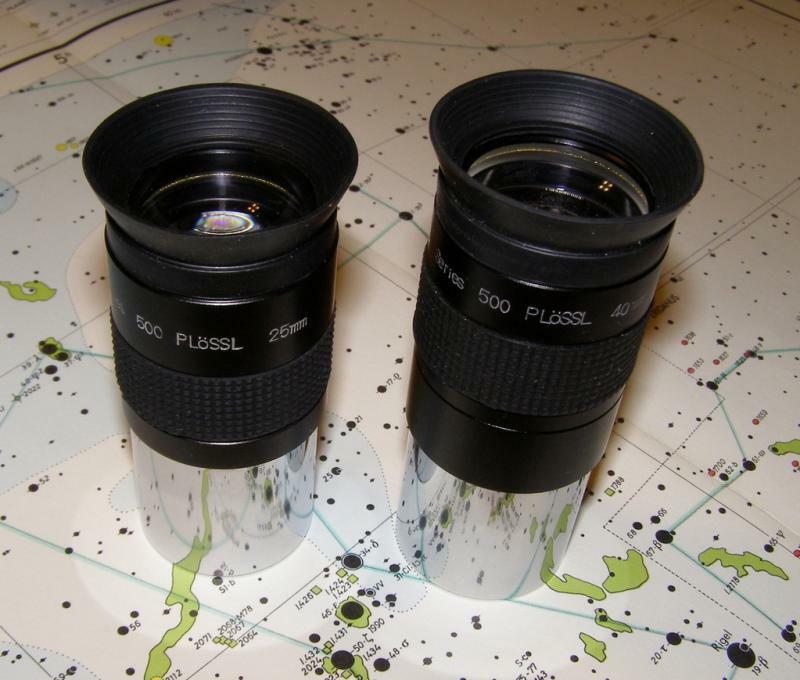 Here are a couple of "Series 500" Plossl oculars (25mm and 40mm) that served me well when I rekindled my passion full-time in amateur astronomy back in 1999. Until I got my improved eyepiece collection, these boys were great performers for visual, as well as via afocal astrophotography on my Cosmos 4.5" Newt. Though they are not high-end by no stretch of the imagination, they actually render pretty good images. Free and great for the budding amateur and for outreach. Please PM me if interested. Photos are shown below. Edited by dawsonian2000, 03 February 2016 - 11:09 PM. Will be giving these to Andy. I hope to post some other items that will be of help to others. I have an interesting item available for local pickup in the Los Angeles area. It is a folded refractor assembly that was made by a German professor. The lens was a Zeiss AS 110/1650 that threaded into one end. 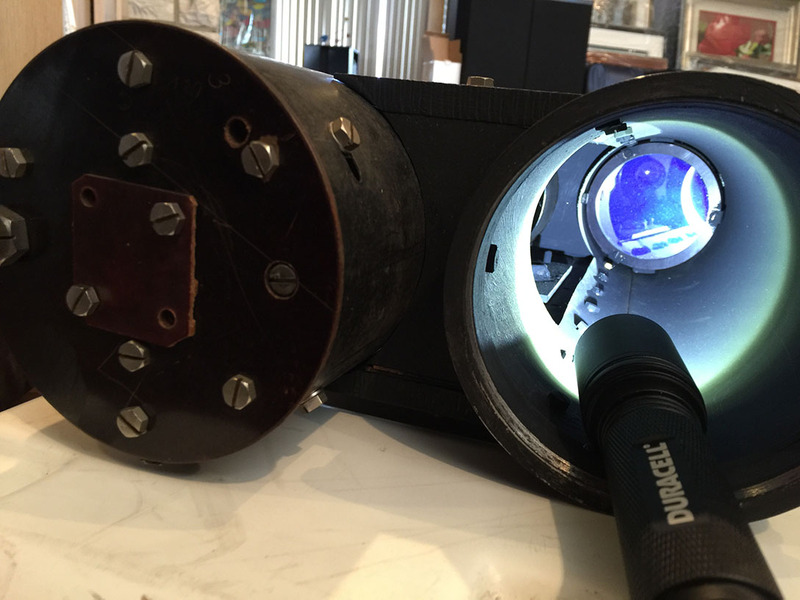 There are two mirrors, then a tube with an aperture stop and another tube with some sort or barlow/relay lens. When the lens was inserted, it did give a focused image although the contrast was decreased, partly due to dust on the mirrors. The tube has a female M44 thread, and there was a Zeiss erecting prism that was attached. I tell you this so that you can see the focal lengths involved. The lens has been sold, and I kept the other elements, but I will give this item away for free. The case is not included. I hope someone can find a good use for it. I would hate to throw it away. Here's a 50mm finder scope and rings from a Scope branded Royal Astro 76/1200 refractor. Missing one clamshell lock bolt and possibly the eyepiece cap...still looking. Not minty but not to shabby either. The 50mm finder and rings have a new home. Someone take this... A Bushnell 76mm 700mm Fl Newt OTA. Tube is a bit scratched up but the optics (probably spherical) are clean. 1.25 Focuser and some rings that barely fit. Yours for postage CONUS. Darn! I should be paying closer attention to this thread!!! My T2 is on it's way - Wootie Hoo!! - and I'm keeping my Space Scope 151, so I want to find a good home for my Mayflower 815. 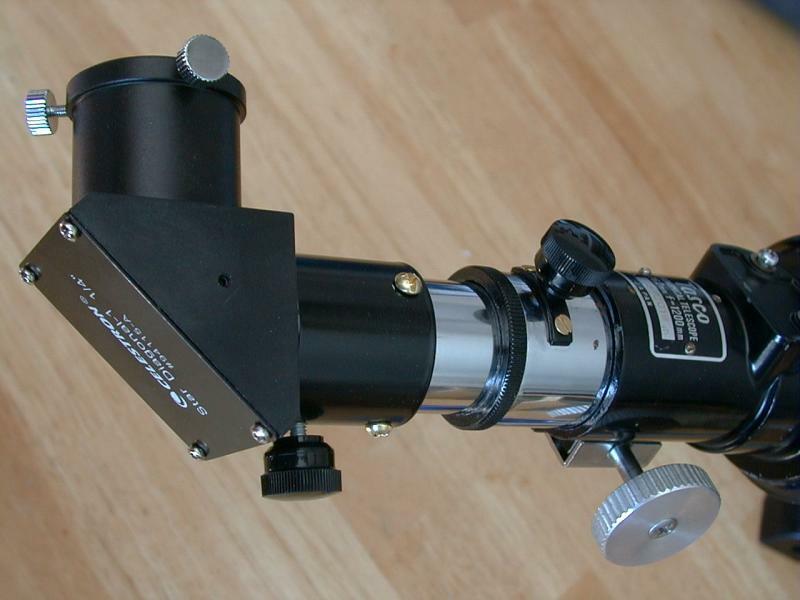 Same as when I gave away my Monolux 4380, I want this scope to go to a CNer who doesn't have a classic scope, and intends to keep it & use it - not flip it. They'll get the OTA, and the mount with factory-installed drive. That's it. No case, documents, or accessories. On the plus side, for $35 they can install the Vixen 1.25" adapter. I'll deliver within 200 miles of Montgomery, AL for free. If it has to be shipped, I estimate $65 for the two boxes. Getting a lot of PMs, so if you don't hear back from me, it's not because you're being ignored! Also, it is absolutely nothing personal if you don't get the scope - I only have the one. To answer a question: No, this is not a gimmick. I've done it before. Same reason to help grow the community. When I built my JaegerMeister, lots of members sent me parts, and I'll keep it until I draw my last breath. Who doesn't love a big fast refractor on clear moonless nights? You're a good man, Mr. Stewart. Bob, that is very kind and generous of you!! Free to good home. Jeagers or Edmund 75mm F15 refractor, vintage nicely machined ATM heavy aluminum. Focuser is an old B&L petzval assembly with lenses removed. 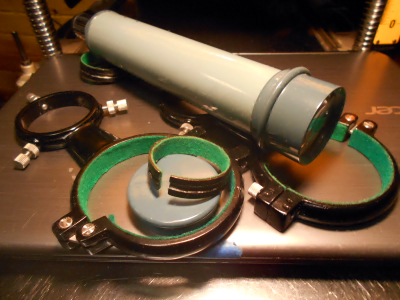 Scope is taken apart for tube painting (metallic blue), but will be shipped unassembled. Recipient pays shipping, probably around 20. Edited by Vesper818, 26 March 2016 - 10:07 PM. The Mayflower 815 will have a new owner shortly. Thanks to everyone who expressed an interest in this classic! Thanks to his generosity, Bomber Bob's Mayflower 815 has found a new home with my family. The package actually arrived Wednesday while I was traveling. My son William (who has previously shown little interest in observational astronomy), anxiously awaited my return to help me open it. Last night as it was unpacked, I let him assemble the components into the complete telescope. We were both thrilled. Not only do we have a classic vehicle to take us into the night sky, I also get an opportunity to share astronomy with another family member. Thank You, JW! Edited by Tenacious, 09 April 2016 - 06:42 PM. If it hooks a New Observer, I'm thrilled. Y'all use the heck out of it - it's a good 'un. What beautiful country! That's a blessing. 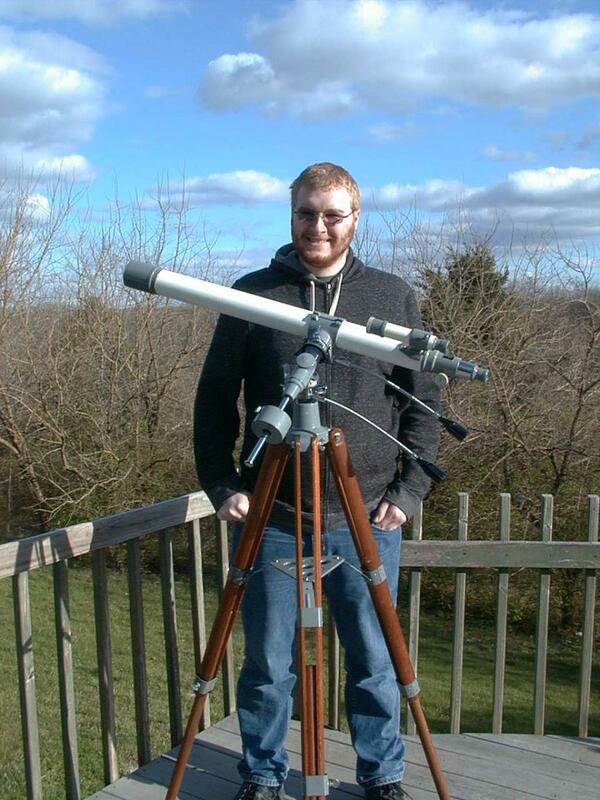 Bomber Bob's Mayflower 815 finds a new home with a new astronomer whose son who is now also turning toward astronomy. Well done, Bomber Bob, the Astronomical Matchmaker! Congratulations, Tenacious! Best outcome ever. All of us have followed Bomber Bob's observations with this telescope for what must be years. It is older than many of us, yet due to Bomber Bob's diligence, looks new. This is a scope with good karma, and powers of inspiration! Can't wait, just getting back into the hobby. The Stein/Towa that I gave to the Boy Scouts is already winning converts. The Troop Mom had the scope out this weekend for her sons and their friends. 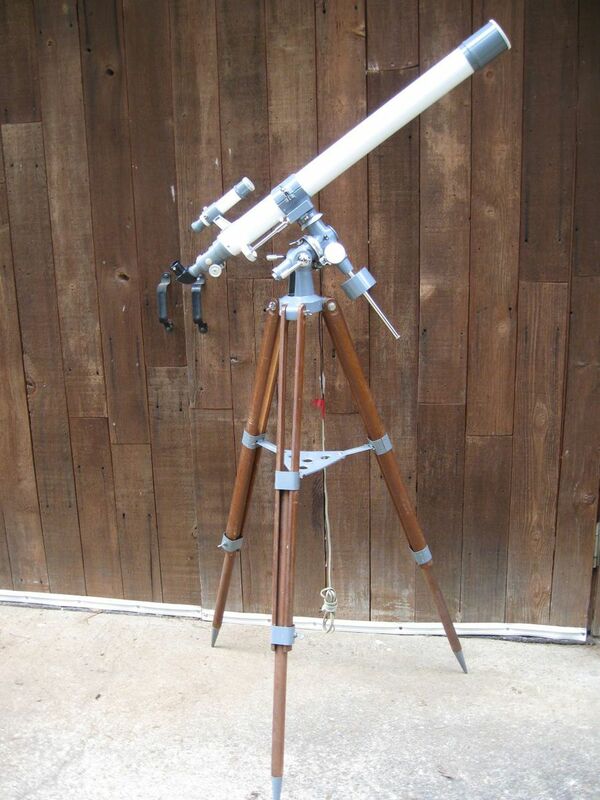 One of the parents was so impressed with the views of Jupiter that he went home and ordered his own telescope. 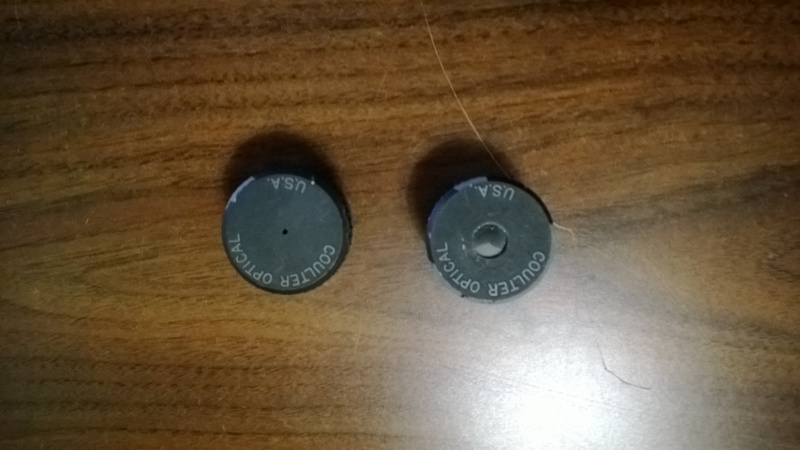 These have NO threads and won't fit the original factory draw tube. 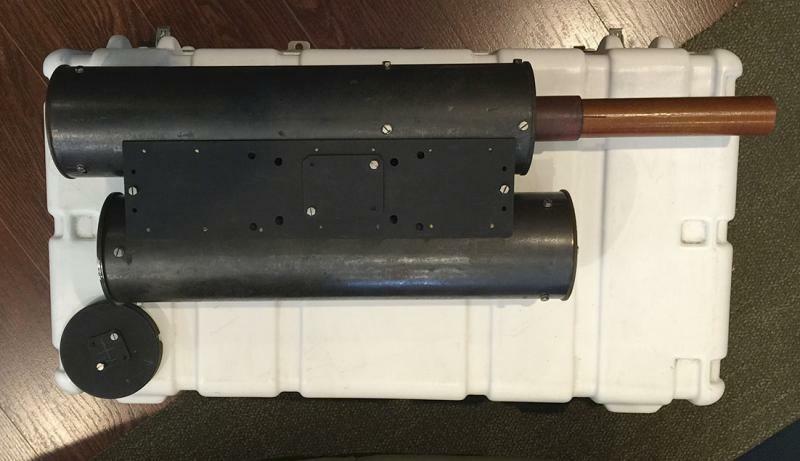 The factory draw tube and visual back are replaced as a unit (very simple). It is my belief that these will fit the clones of the 10TE. I don't know if they will fit the clones of the 7TE, so far, I've never seen one. In keeping with the 10TE theme we have going, I have a 10TE I would like to give away. It was a loaner scope that I used for my Scope for Scouts program, but it is not seen use in quite a while since I have so many other smaller sized ones I have give away and my big 13"Coulter that went to a camp. It is in used condition for sure. Legs are not original, mount is not the greatest, has a Vixen tray, and no styrofoam for the case. The tube could be repainted, but it is good shape. Great first project for someone. Like Bob, flippers need not apply! I also would love to see it go to someone for outreach or who does not have a scope. One caveat, I really, really do not want to ship this thing. I would drive a little bit to meet someone near Indiana. We would have to work that out. Sorry, I realized that I don't have any pictures of it. PM me, but may not get back to you immediately due to my work schedule. Edited by Mr Magoo, 18 April 2016 - 09:32 PM.